HEAD OF THE DEPARTMENT: Doctor of Medical Science, Professor Tetyana V. Frolova. 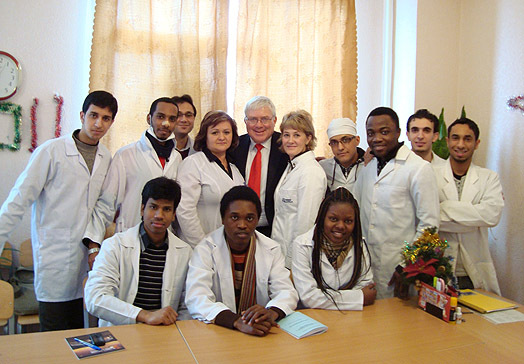 MD, Professor Vsevolod N. Kolomenskiy. for educational work candidate of Medical Science – Olena V. Atamanova. 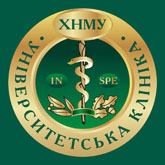 Assistants: Candidates of Medical Science: Katherine G. Koleushko, Lina Y. Barska, Olena V. Kononenko. Senior laboratory assistant Valentyna N. Ustynova. The Department teaches such subjects as “Propedeutic Paediatrics”, “Care for Children”, “Nursing Practice” for second- and third-year medical students and “Childhood Diseases” for fourth-year dental students. Since 2007, students have been studying in compliance with the credit-module system. Lecturers pay attention to theoretical training of their students with preservation of the best traditions in teaching this course unit for each student. Third-year students study Propedeutic Paediatrics (anatomical and physiological peculiarities of the organism, evaluation of its physical and psychomotor development, research methodologies of organs and systems of children, feeding of early-aged children, semiotics of major childhood diseases, etc). 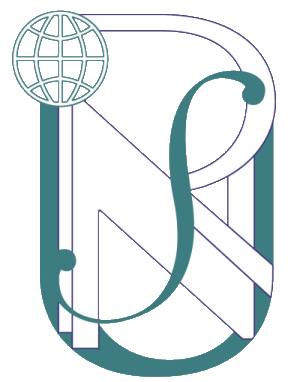 Lectures are accompanied by multimedia presentations, original educational videos. Contents of lectures are constantly updated with new data, new lectures on topical issues of modern pediatrics. For the training process, the Department has a sufficient number of classrooms and the Lecture Hall. Clinical and consulting work of the Department is conducted on the basis of children’s and traumatological departments at Multitype Clinical Hospital No. 17, at the Children’s Urological Department of the Regional Clinical Centre of Nephrology and Urology, out-patient clinics No. 13. In 2005, on the initiative of the Department and with support of the Ukrainian Association of Osteoporosis, the Diagnostic Centre of Metabolic Bone Diseases in Children was opened at the Children’s Department of Multitype Clinical Hospital No. 17, where research and consulting work is performed with help of modern methods of diagnosis and treatment. The Department is equipped with a modern diagnostic ultrasound densitometer “Sonost-2000”, an electroencephalograph and an ultrasonic diagnostic unit. In order to provide qualified medical care for children who live in rural areas, the medical staff of the Department regularly visits districts of Kharkiv Region. Results of the scientific researches of the Department’s staff are constantly introduced into public health practice. During the last 5 years, 48 new methods of diagnosis and treatment of children with different pathologies were introduced. The Department staff conducts scientific research on problems of early diagnostics and prevention of developing chronic dysontogenetic pathology in children. The priority research area in recent years consists in the analysis of the formation of mineral profile of child population with consideration of peculiarities of harmful environmental factors, problems of osteoporosis and osteopenia in children. 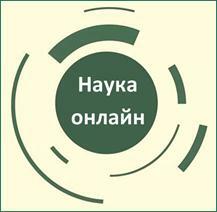 The target priority research work of the Ministry of Healthcare of Ukraine “Justification and introduction of regional monitoring of children and adolescents’ health in terms of innovation of primary health care in Ukraine” was completed. Students participated actively in research work of the department and the results were reported on International Students’ Interdisciplinary Conferences (ISIC) where they took first place. Since 2006 the Department of Propaedeutics of Paediatrics No. 1 has been collaborating with orthopaedists from the USA. Results of joint researches were presented at the World Congress on Diseases of Bones and Joints in Chicago by the head of the Department Prof. Frolova T.V. Our young specialists constantly attend the Salzburg Medical Seminars on Pediatrics with the support of the American Austrian Foundation.